PYEONGCHANG, South Korea — South Korea is preparing to welcome the world, with Wednesday marking 100 days until the start of the PyeongChang 2018 Winter Olympics. 1. 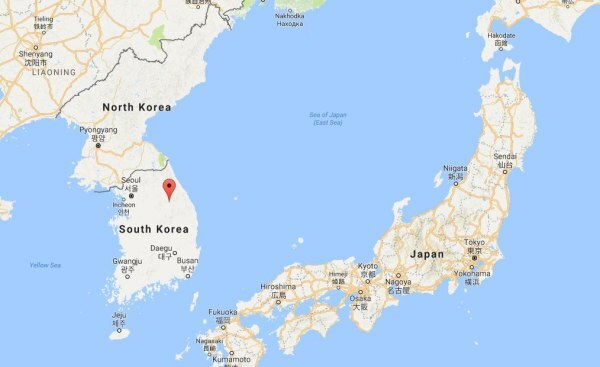 The Olympic flame will begin making its way around South Korea this week. The relay's theme is “Let Everyone Shine,” and about 7,500 torchbearers will participate. Along its path to PyeongChang, the torch will travel on a sailboat, a zip-wire and a steam train before being carried by a robot to the Olympic Stadium during the opening ceremony on Feb. 9. 2. There are no worries about construction delays this time around. Athletes were also happy with the snow last winter, and organizers are promising plenty of good powder for the Games. 3. 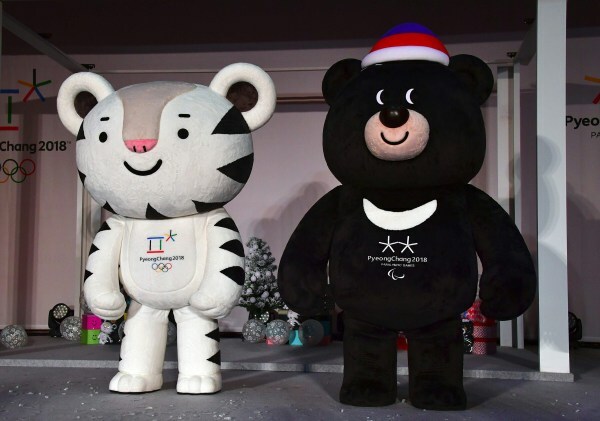 Expect lots of nods to Korean culture during the opening ceremony, but other details are being kept tightly under wraps. 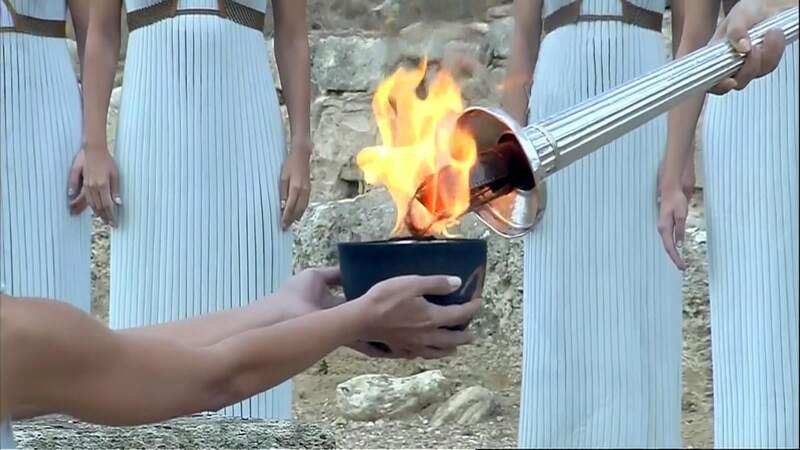 The Olympic cauldron has already been installed, but who will light the flame remains a mystery. One of the favorites is Yuna Kim, South Korea's beloved gold-medal-winning figure skater. 4. The slogan for the city of PyeongChang is “Happy 700” — a nod to the area’s average elevation of 700 meters (765 yards) above sea level, which is believed by many South Koreans to be the perfect location for people to live in unison with nature and culture. 5. The Games's 13 venues will be spread across two areas. The PyeongChang Mountain Cluster will host the skiing and sliding events, while the Gangneung Coastal Cluster will be home to figure skating, hockey, curling and short-track speed skating. 6. PyeongChang will boast the most gold medals in Winter Games history, with 102. 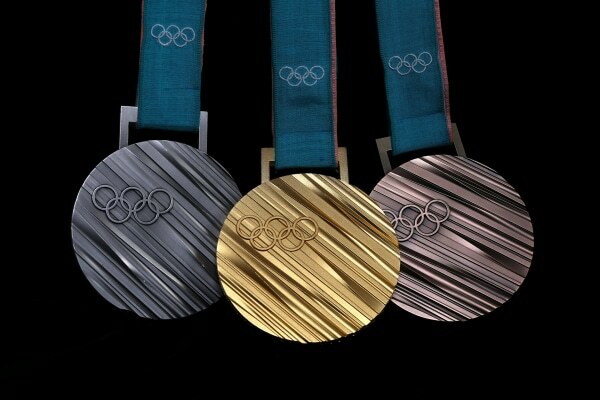 The front of the medal features the Olympic rings logo and diagonal lines symbolizing discipline and determination. The back has the emblem for the Games and the name of each event. Around the edge are Korean consonants meant to represent the effort of the athletes. The teal and red ribbon is a traditional textile embroidered with patterns to represent the refined beauty of the host country. 7. The PyeongChang 2018 Organizing Committee says these Games will have the greatest number of women’s and men’s mixed events in Olympic history, including curling, alpine and ice skating competitions. PyeongChang will also host the largest number of events for women in Olympic history. 8. Will Russia compete? Anti-doping agencies have called on the International Olympic Committee to ban Russia after the country’s doping scandal from Sochi 2014. An update from the IOC regarding Russia is expected in December. For Rio 2016, the IOC left the decision to individual sport federations. 9. While it’s not yet clear whether neighboring North Korea will allow its athletes to attend the Games, a pair of figure skaters has qualified to take part. North Korea also has some athletes who are seen as potential qualifiers in speed skating. The country sent no competitors to the last Winter Olympics. 10. Team USA is expected to feature some well-known Olympic veterans. Lindsey Vonn is hoping to become a four-time Olympian, as she attempts to come back from an injury that kept her off the slopes in Sochi. Shaun White is also aiming for his fourth Games — as well as redemption. After gold medals in 2006 and 2010, White finished fourth in the half-pipe in 2014. Snowboarder Kelly Clark is looking to make her fifth Olympics. 11. Get ready to bring your "oohs" and "ahhs" when you watch one of the newest Olympic sports. 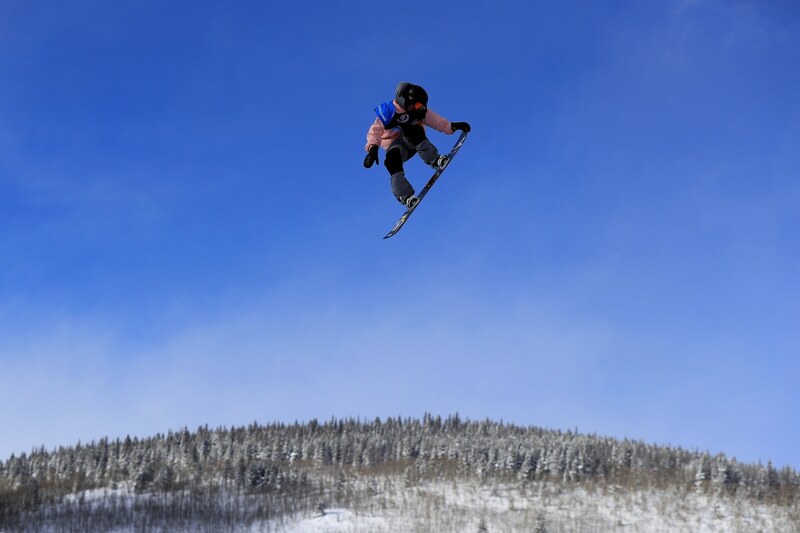 The IOC says Big Air Snowboarding was added to bring some youth appeal. The event is pretty much just as it sounds. Athletes hurl themselves off a man-made ramp in one massive jump and are judged on their aerial wizardry and smooth landings. 12. Team USA expects to send around 245 athletes to the Games. But only the biathlon team is set so far. The rest will be named during qualifying events through January. Team USA is expected to be the largest at the Games and will be looking to boost its medal count from Sochi, where it finished second overall with 28, behind Russia. 13. You won’t see NHL players facing off on Olympic ice. The league decided not to schedule a break to allow stars to go for gold. That means Team USA's roster will be made up of free agents, college players and Americans who play professionally in Europe. Team USA Women’s Hockey squad remains a strong medal contender after winning silver in Sochi. 14. Coed curling will make its debut at PyeongChang 2018. Formally known as mixed doubles, the sport is played with one man and one woman as a team. Team USA will be one of eight countries competing. Both the U.S. men’s and women’s curling teams also earned Olympic spots, so there’s plenty of sliding and sweeping ahead. 15. The Games will start on a bittersweet note for Team USA's bobsledders. For the first time in 19 years, the national team is without Steven Holcomb. The most decorated bobsledder in U.S. history, with three Olympic medals, Holcomb, 37, died in May at a training camp in Lake Placid, New York. An initial autopsy found that he had fluid in his lungs, as well as sleeping pills and alcohol in his system. 16. 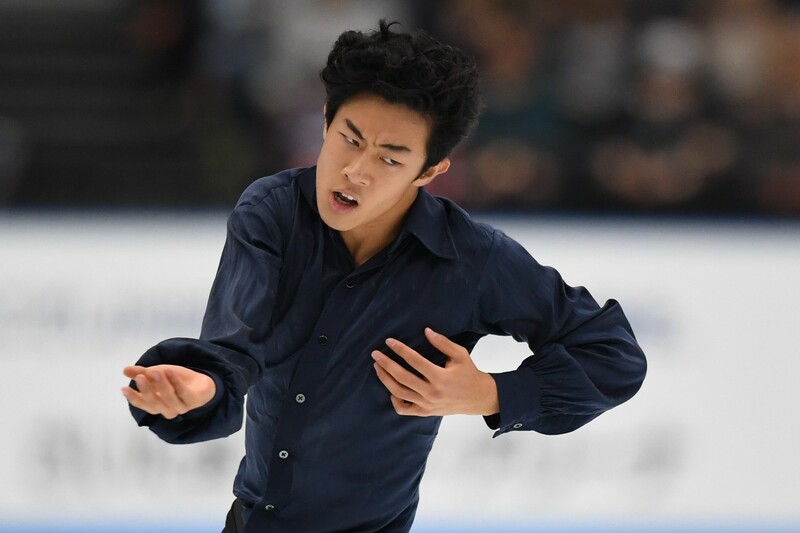 America’s best hope for gold in figure skating is Nathan Chen. The 18-year-old beat the reigning Olympic champion, Yuzuru Hanyu of Japan, at an event in Moscow this month. He also made history this year by becoming the first skater to land five different quadruple jumps in a single competition program. 17. We should see at least one set of siblings on Team USA. Known as the “ShibSibs," ice dancers Maia and Alex Shibutani are three-time World Championship medalists and podium hopefuls for the Olympics. And in a twist, two sisters expect to be in PyeongChang on different hockey teams. Hannah Brandt should be suiting up for Team USA, while Marissa Brandt, who was adopted from South Korea as a baby, will be suiting up for the host country. 18. In a first for the Winter Games, NBC will broadcast prime-time coverage of the Olympics live across all time zones, so everyone across the U.S. will experience the excitement at the same time.